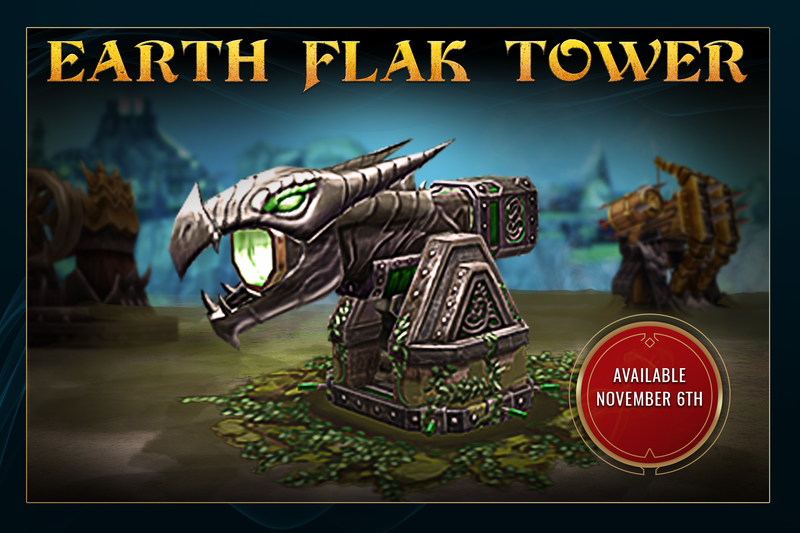 Channel the Earth’s defenses with this new Flak Tower! The Earth Flak Tower is the fifth and final tower in the Flak series that will utilize the power of elemental energy. Read below for an FAQ on the latest Flak tower! How does the Earth Flak Tower deal damage? The Earth Flak deals elemental flak damage to attacking Dragons. What is the Earth Flak Tower’s Supershot ability? The Earth Flak’s Supershot provides an invincible shield to other nearby towers. It also provides a HP buff to these nearby towers until the end of the battle. What is the range of the Earth Flak Tower’s regular and Supershot attacks? The Earth Flak tower has a normal range comparable to other Flak towers, since its Supershot abilities only affect nearby towers. What towers can receive the shield and boosted HP from the Earth Flak Tower? Any neighboring tower (Flak and non-Flak) to the Earth Flak Tower will receive the invincible shield and boosted HP from its supershot. A neighboring tower can be defined as a tower that is currently placed on the same island as the Earth Flak Tower. An island, in this case, is defined as a set of five towers located within the same vicinity. On long islands, these are made of two short islands joined together. Therefore, it is recommended that the towers you want to receive the shield and boost are positioned next to the Earth Flak Tower in order for its ability to take effect. 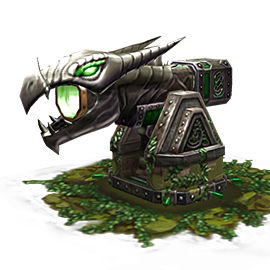 The Earth Flak tower will not be susceptible to the Storm Tower Resists that certain Dragons possess. Storm Tower Resists will only decrease incoming damage from Storm Towers. What’s the best strategy to building Earth Flak Towers? One of the most valuable parts of the Earth Flak Tower is its supershot shield and HP boost. We recommend building your Earth Flak Towers alongside other high-damage Flak towers, like a Dark Flak Tower, to provide added defenses to these valuable towers. Will there be more towers after the Flak series? For sure! The engineers inside the Builder Hut are hard at work building more defensive towers to protect your island. The Earth Flak is their latest accomplishment, and they’ll share more towers they have in the works as they are ready to be revealed. How many Earth Flak Towers can I build? ​Because the Earth Flak Tower and Storm Tower share similar defensive abilities, the Earth Flak Tower cannot be placed on an island is a Storm Tower is present, and vice versa. You can only build one Earth Flak Tower per island, totaling up to 8 towers on all 8 islands. You can, however, build other Flak type towers on the same island to take advantage of its supportive abilities! When will the Earth Flak Tower become available? The Earth Flak Tower will be available to build starting later today, November 6th. Building and leveling the Earth Flak Tower during any Fortification event will also earn you points towards the weekly event prizes! The Earth Flak Tower is available to build starting at player level 65. You can find this tower in your Build Menu when constructing a new tower. Why release the Earth Flak tower now when last week was the Fortification Event? We’ve planned a developer promotion around the Earth Flak Tower that requires us to release this new building during this timeframe. We try our best to line up in-game events with these promotions when we can, so you can expect to see more collaborations in the future! New Tower Levels are Available Now! 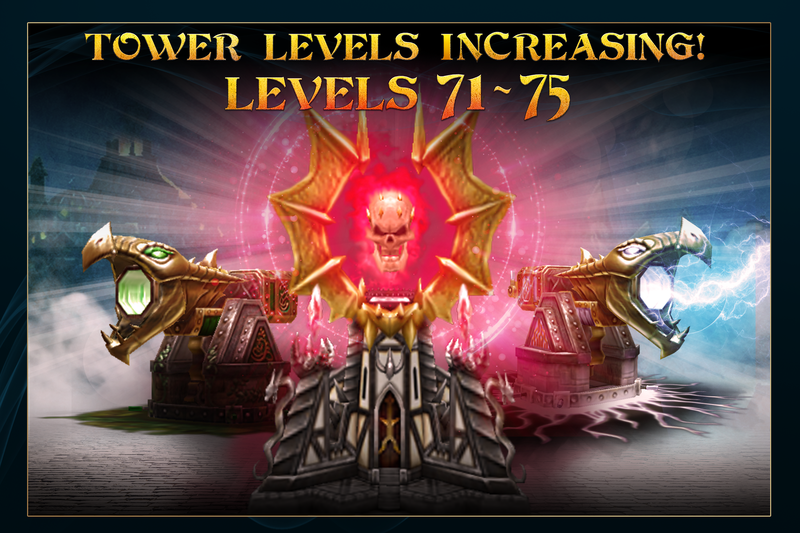 As of last Tuesday, Levels 71 through 75 can now be buildable in-game. Take your Flak towers to a whole new level! Want to discuss the Earth Flak Tower with fellow Dragon Lords? Head on over to the War Dragons Forums, Tweet us @WarDragonsGame, or find us on Facebook!